A penny saved is a penny earned and with the option of refinancing, you stand to earn a whole lot of dollars. If you’re new to the concept of refinancing or just wanting a little clarification if it’s the right move for you, this comprehensive guide is meant to help you determine how to go about the whole process. The idea behind refinancing is pretty simple. It means getting a new mortgage in order to replace the original one. So, what happens is that you will pay off the first loan and then create the second. Ideally the second loan will have better terms and rates, which means it saves you money. For starters, there are two main types of refinances, namely rate-and-term refinancing and cash-out refinancing. In the former (rate-and-term), you refinance whatever balance is remaining on your current loan in order to enjoy a more relaxed term and lower interest rates. In the latter (cash-out), you take out a totally new mortgage whose amount is more than what you owed. You can then use the difference to pay off the existing debt, or you can take it in cash. Whatever option you prefer, it is important to understand the pros and cons so you see if refinancing your mortgage makes sense. Refinancing may sound great in theory, but it is not always the ideal way to go. Nowadays lenders have introduced more stringent measures that make it harder for borrowers to access refinancing. In addition to that, the whole process might not make financial sense, particularly if you are planning to sell your home in the near future. Therefore, before taking the financing leap, make sure you understand all the associated benefits and risks and see if it’s the right option for you. One of the primary benefits of home refinancing is a lower interest rate. What happens (in virtually every case) is that your income increases as you continue to work, and that gives you the ability to pay your bills and other obligations on time. As a result, your credit score increases, and with the increase, comes the ability to get loans at lower interest rates. When you refinance a mortgage that you took out earlier, you get to enjoy your current lower interest rates, This, in turn, reduces your monthly payments, thus saving you a lot of dollars per year! The second benefit of refinancing involves an increase in home value. Usually, when you live in a home, you make improvements which add to its overall value. Lenders will allow you to take out a substantial home equity line of credit; usually determined as the difference between the appraised value of your home increases and the balance owed on its mortgage. If you’re looking to do this, your lender will assess your home with its improvements, determine how much it is worth, and subtract the balance owed on your original loan. Once that is done, the lender will use the money to pay off your previous mortgage. Whatever remains will be available for you to use as you see fit. The main risk of mortgage refinancing comes from the possibility of penalties and additional fees. Penalties may arise from the fact that you will be using your line of home equity credit to pay down your current loan. While this can be a good idea, many lenders will charge you a fee for doing so. Fees vary, but they can run into the thousands of dollars. It is always a good idea to ask about any fees or prepayment penalties before you commit for refinancing. Besides the charges mentioned above, you might be subjected to additional fees for consultations or various transactions. You might be required to pay for an attorney or transaction fees like bank charges. When added together, these additional can be sizeable Again, do the math and determine whether the refinancing will be worthwhile. 1. Your home’s equity: you should have at least 20% equity in your home in order to qualify for a new loan, otherwise you will be required to pay private mortgage insurance (PMI), and that will wipe out any potential benefits of your refinance. 2. How long you are planning to stay in the home: a typical home refinance will cost 3 to 6% of the loan amount. Using that knowledge, you can calculate how long it will take for you to reach the break-even point – a point when costs are outweighed by savings. If the break even comes way earlier (say 18 months) than the duration you are planning to spend in the home (say 7 years) then the refi is worthwhile. However, if you plan to move before or immediately after you recoup the cost, then refinancing might be more hassle than it is worth. 3. Your credit score: your credit score will determine the interest rates that you will pay. The higher it is, the lesser your interest rates and vice versa. With a good credit score, you’ll be able to get lower interest rates and save money on your payments. On the other hand, if you’re credit score is considered low, you might be eligible for better rates or more favorable conditions. So when is it okay to refinance? First off, most lenders usually require borrowers to hold on to their original loans for a minimum of 12 months before they are allowed to refinance. The terms might vary from one lender to another so you may want to consult yours before considering refinancing. While you won’t be forced to refinance with your original lender, you may want to consider them for your new mortgage as well. Since they are familiar with your situation, they should find it easy to appraise your home and process your new mortgage rates. Many even offer better prices and rates for their original customers who are seeking to refinance. However, even if you are happy with your existing lender, it still might be a good idea to shop around. With good credit, or even less than perfect credit, many lenders will try their best to offer you the better deal. This is where the experience and expertise of a company make all the difference. 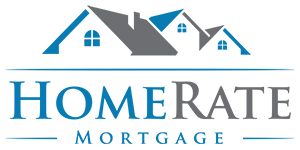 At HomeRate Mortagae we offer quick quotes, low rates, and fast closings…that’s the HomeRate Mortgage guarantee! If you don’t consider the nitty-gritty accounting, finance, and legal details, refinancing is actually a simple process. The first thing you need to do is determine how you will repay the loan. If you are planning to use your home’s equity, you may want to renovate your house thoroughly to increase its value (which you will use to take out the loan). The added value will be your means of repaying the refinancing. Make your life simple and contact a trusted mortgage professional so they can help you explore all your options. You can talk first to your original lender and compare with other lenders to see if they can offer better conditions. Once you have determined the best company for you, do the cost-benefit analysis described above and, if it will be worthwhile, get to refinancing today!